The seminar will discuss highlights from the ADB study on Asia's knowledge economies which benchmarks developing countries in Asia with advanced countries as knowledge based economies, using the four pillars – innovation, ICT, education and training and the economic and institutional regime. The underlying premise is that emerging economies in Asia can climb up the ladder of higher value added in global markets and go beyond middle income levels only by strengthening knowledge based development. This requires creating a backbone national ICT and connectivity infrastructure that offers reliable and affordable services through universal access and service programs, augmenting innovative capacity, R&D investments and commercialization of innovation, reforming education and training institutions to strengthen Science Technology, Engineering and Mathematics (STEM) education and creating industry-university collaborations and a robust economic and institutional regime that offers protection for intellectual property rights, facilitates early venture capital and boosts technology start-up companies. Eminent panelists will discuss policy recommendations for knowledge based economic development in developing Asia and their application for low and middle income countries. The panelists will illuminate policy actions required in developing member countries of ADB to advance as knowledge based economies. Specific examples of what can be considered to strengthen knowledge economies in India, Indonesia, People's Republic of China and Kazakhstan will be discussed. This seminar is a logical follow up of the 2013 Annual Meeting seminar on knowledge economies at which a curtain raiser report on the importance of knowledge economies "Asia: The Road to Becoming a Knowledge Economy - Game of Catch-up or Game Changers" was presented. India has one of the fastest-growing economies in the world. Renowned for its IT and software development, it is an important component in the world's technological advances. The prime minister of India declared the period of 2010 to 2020 the decade of innovation. 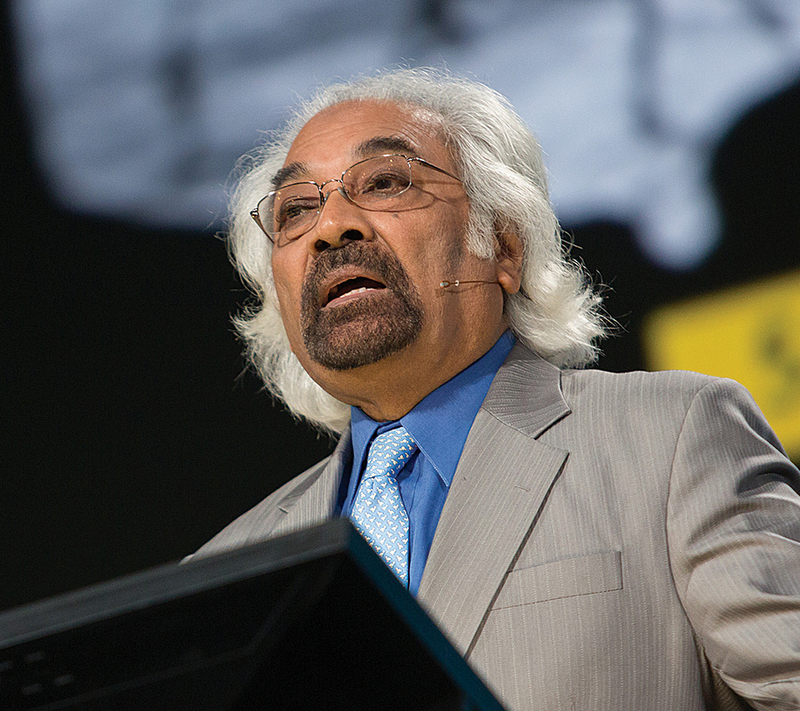 Sam Pitroda is the technology adviser to India's prime minister and the thrust that is forwarding the implementation of a national GIS. "Technology is key for driving India's development," he said in his keynote speech at the 2013 Esri International User Conference. The country’s fourth Innovation Hub was today formally inaugurated at the Regional Science Centre (RSC) here. The Innovation Hub in Guwahati is part of the ambitious plan of National Council of Science Museums, Kolkota, and the Central Government's National Innovation Council (NIC) to have one innovation centre in each district with the target group being schools, colleges and engineering students. “New ideas and innovations will come only if there are trained minds. Innovation cannot come on its own. Building of centres like this are the right way to allow students and young innovators to take risk and face failures as both risk taking and facing failure are critical,” Sindhushree Khullar, Secretary at the Planning Commission said, after inaugurating the Innovation Hub this afternoon. RSC Guwahati is the site for one of the five Innovation Hubs announced by the Centre last year and the fourth one to become operational. The hubs at New Delhi, Kolkata and Bengaluru are already in operation and the one in Mumbai will come on stream soon. The concept of Innovation Hub is to provide a platform for students to convert their ideas into tangible form for application in daily life. The five centres are being set up as prototypes which will draw up a standard list of activities. Later, they will act as coordination centres in each zone with the Guwahati centre being the coordinating centre for the North Eastern region. The Innovation Hub has been equipped with a Hall of Fame with stories of inventions and inventors, multimedia kiosks to explore major inventions, an Innovation Resource Centre with online access to innovation-centric resources, e-journals, books and grass-root innovation portals, a laboratory to carry out experiments and projects, a tech lab for Robotics and Microprocessor Programming, among other facilities. “Students will also be encouraged to develop things from scrap and low-cost materials and an Idea Box for children to propose ideas and create an idea bank,” said S Chaudhuri, Director of Central Research and Training Laboratory (National Council of Science Museums). The inaugural function was also attended by Gauhati University Vice Chancellor Dr Mridul Hazarika, Project Coordinator of RSC Guwahati P Grover and eminent innovator Uddhab Kumar Bharali, among others. The National Innovation Council (NInC) and the Ministry of Micro, Small and Medium Enterprises (MSME) jointly announced the creation of the India Inclusive Innovation Fund (IIIF). IIIF, which has been approved by the Union Cabinet, was conceived and architected by the NInC as a unique concept which seeks to combine innovation and the dynamism of enterprise to solve the problems of citizens at the base of the economic pyramid in India.